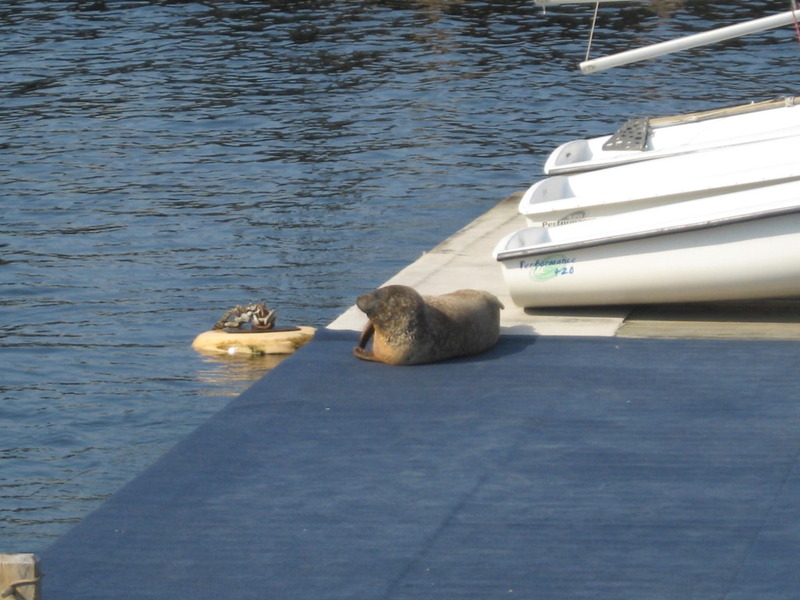 At some point, a clever harbor seal made part of the dock of Courageous Sailing Center it's new home... or at least its new sunbathing location. When we harbor explorers went down to the docks, we saw the strange creature flopping onto the dock to sun itself. From a safe distance, our explorers observed the seal, being careful not to bother it. To our delight, the seal rolled, lifted its tail and made funny faces as it sunned itself happily. Some of our explorers had never seen a seal, and were especially amazed at the sight of this marine mammal. At last, we bid the seal adieu and returned to our other fun activities further down the dock.